Did you know that 97 percent of people look at online reviews before considering a business and 35 percent of people have left a negative review? Customers leave negative reviews for many reasons, from wanting compensation to disagreeing with your business practices. In this blog post, we're going to break down exactly how to reply to negative reviews, step-by-step so that you can get that customer trust back and improve your business's online reputation. 1. Take a moment to relax and collect yourself. Understandably, you’ll probably be upset when you read a negative review. You might even be angry or find that the review was a little unfair. However, no matter how you feel, what’s important is how the customer feels. As a business owner, it’s your responsibility to always keep your customers satisfied and fix the problem. If you receive a bad review, take a moment to read over it and then leave it alone for a while. You need to give yourself plenty of time to think about the review and what you’re going to say. After all, if you answer when you're still upset, the first thing you'll want to do is defend your business. That's not a great idea at this point because if you come across as defensive, you'll only exacerbate the situation. So, cool down and come back later to respond to that negative review. 2. Read the negative review thoroughly. What made the customer write a negative review? Maybe they felt they received poor service or that the product purchased didn't meet their expectations. Or, maybe they were just having a bad day. They might also want to hurt your business's reputation; 13.5 percent of customers leave negative reviews with the intention to hurt the company's reputation. Whatever the reason, it's extremely important to know exactly why the customer is unhappy. You will need to be understanding and empathetic, so use the details in the review to form a detailed and kind response. 3. Respond to the review politely and be detailed. While you follow these steps, make sure your response is as straightforward and helpful as possible. Your customer needs to know that you genuinely care about fixing their problem. Otherwise, they'll move on to your competition. 4. Don't wait too long to respond to your business's negative reviews. Like we said, you want to take plenty of time to respond appropriately to a customer's negative review. If you wait too long, though, you'll risk losing that customer's business. 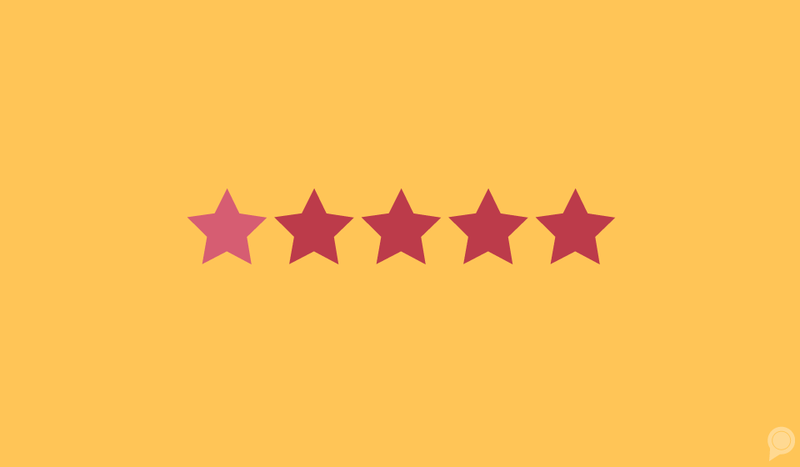 Even worse, you'll appear inattentive and rude to anyone else who looks at your business's reviews, which could possibly scare away any other customers. Remember that 52 percent of people who leave negative reviews want a response back within seven days, so be sure to get back with those reviews as soon as you can (after you've given yourself an hour or so to cool off). The old saying, "you can't please everyone" holds true for negative online reviews. You can strive to make your business the best and make every customer satisfied, but you're bound to have an unhappy customer every so often. Rather than worrying about it, you should prepare yourself to respond to negative reviews as efficiently as possible, as well as train your staff to solve most customer concerns with ease.